Sugar has received quite a bad rap lately – it causes a heroin-like addiction and Alzheimer’s disease, they say. But now, new science has proven it can save Australia’s threatened species. All we need to do is tip the sweet stuff on the ground. 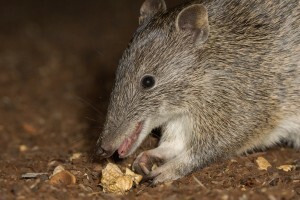 The Threatened Southern Brown Bandicoot looks excited. Photo: Kerry-Ann van Eeden. In my work in native grassland restoration I spend a lot of time picking grass in the rain. Exotic, weedy grass, that is. There’s stacks of the stuff like an evil sea that relentlessly swallows all native species. Its a tedious job and I know what you’re thinking- I must be completely insane. Why bother? Grass is grass, right? Wrong. Victorian Grasslands and Grassy Eucalypt Woodlands are Critically Endangered vegetation types of which more than 95% have been lost. Unloved and unnoticed by many, these unique vegetation communities are not only comprised of one-off species such the Grassland Sun Orchid and Blue Devil, they are also crucial to survival of multiple threatened fauna. Have you heard of the Critically Endanger Golden Sun Moth whose larvae exclusively feed on the roots of native Wallaby Grass? Or perhaps the Striped Legless Lizard, which can both lays eggs and give birth to live young? These tiny little guys, along with species such as the Growling Grass Frog and Southern Brown Bandicoot are our locals, found nowhere else on earth. And they love native grasses even more than me. 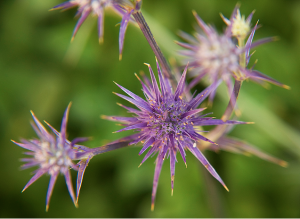 In fact, as grassland specialists their survival depends upon its structure and resources. 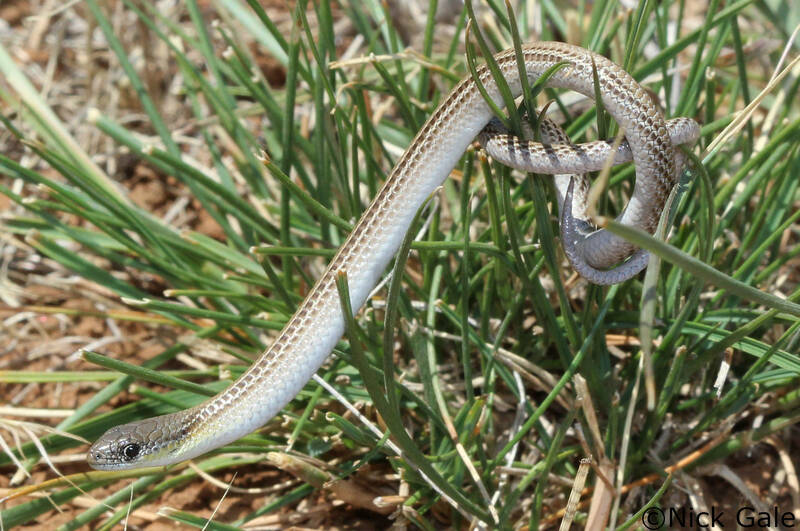 The width of a pencil, this little known Endangered Legless Lizard is fighting for survival as native grasslands decline. Photo: Geoff Heard. So, if not for the sheer love of grass, there are many other worthy reasons to care about the vegetation type. And multiple Melbournians certainly do, investing much time and effort into restorative planting. Though due the unrelenting sea of weedy grass I battle daily, very often projects fail. Weeds swell across the soil, and planted natives die out. Eating half a kilo of sweets is a sure path to a food coma. But did you know sugar knocks out weeds too? Researchers from Charles Stuart University have found spreading half-kilo of white sugar on a square meter of soil kills weeds and allows natives to once again rein supreme. It works by feeding fungi, which take up and reduce soil nutrients as they grow. This starves nutrient hungry weeds, while allowing native grasses, which are far less demanding, the chance to reestablish. It’s an innovative solution that could save our natives and see me spending far less time picking weeds in the rain. Though, researchers are concerned sugar is a little too expensive to toss on the ground. But lets not give up yet. Maybe, just maybe, the ‘I quite sugar’ movement will result in a few spare bags to share around. Next Next post: It’s a bird! It’s a plane! No, it’s a flaming piece of dirt! An ingenious way to get rid of weeds! Hopefully they’ll find a cheap way of doing it.